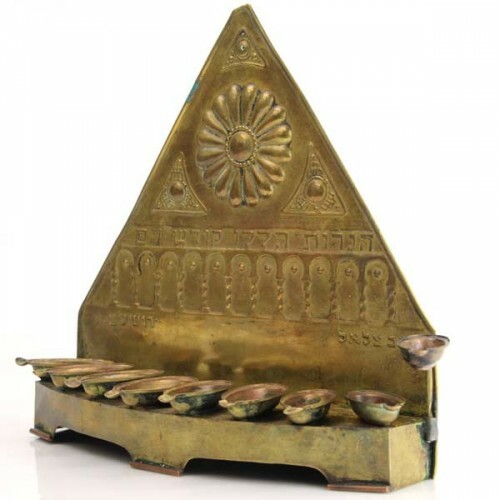 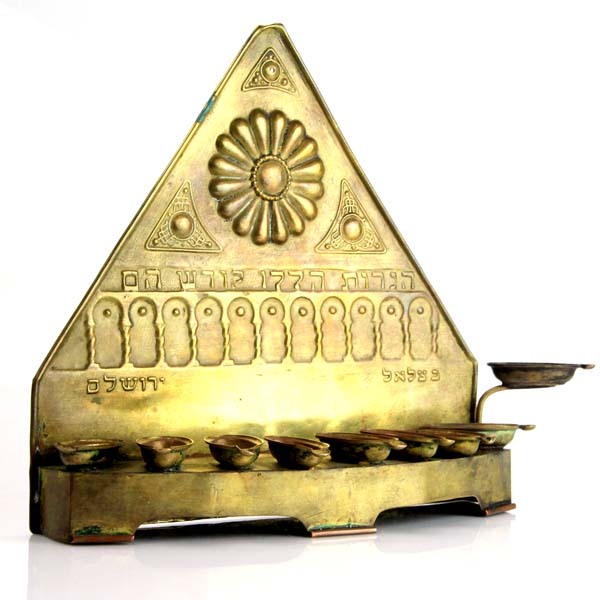 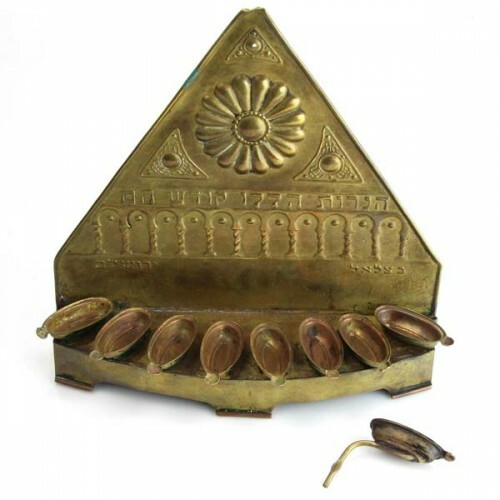 Pasarel - Bezalel Brass Hanukkah Lamp Menorah, Jerusalem, 1906-1929. 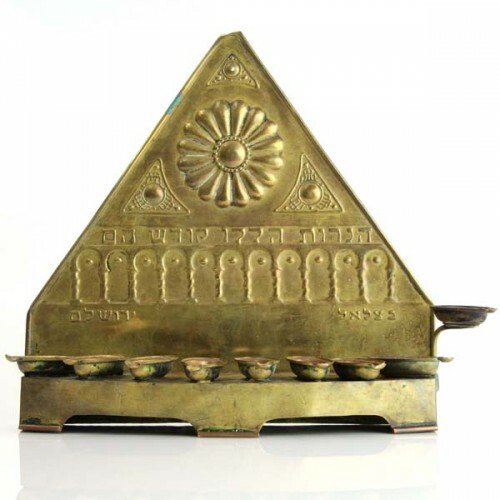 Bezalel Brass Hanukkah Lamp Menorah, Jerusalem, 1906-1929. 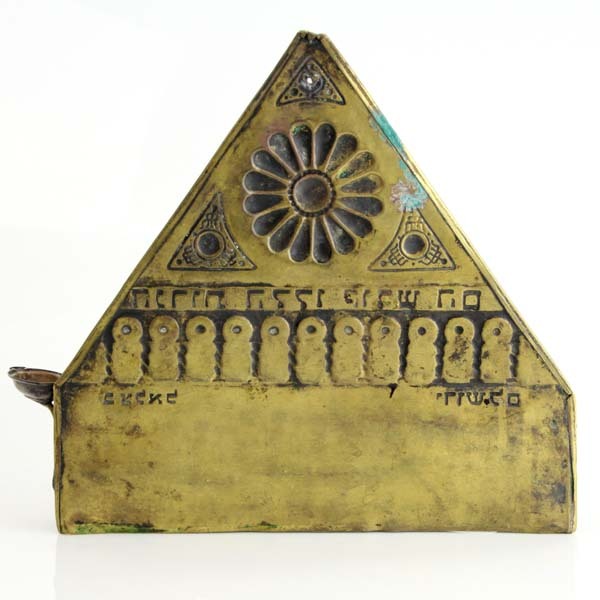 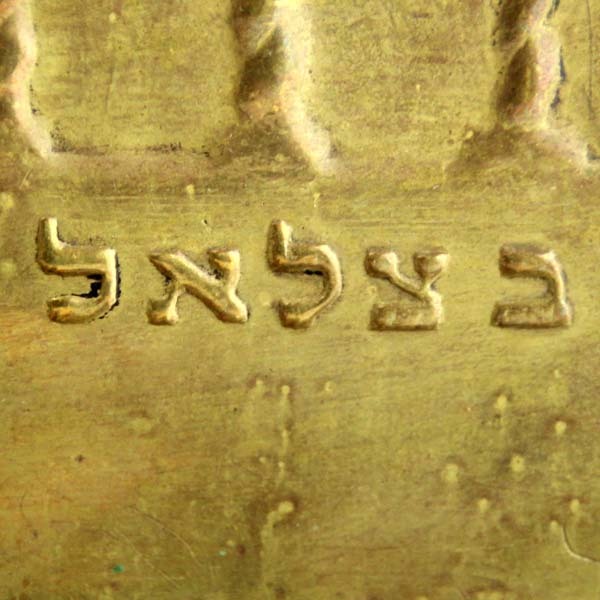 The backplate decorated with a rosette and with archways flanking the Hebrew inscription – Hanerut Halalu Kodesh Hem (These candles are holy). 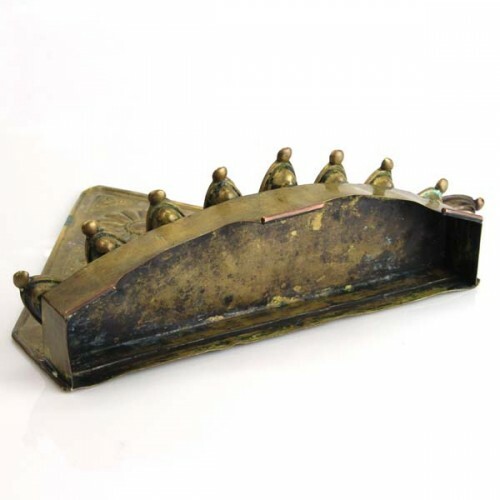 The front is gently curved and fitted with oil receptacles. 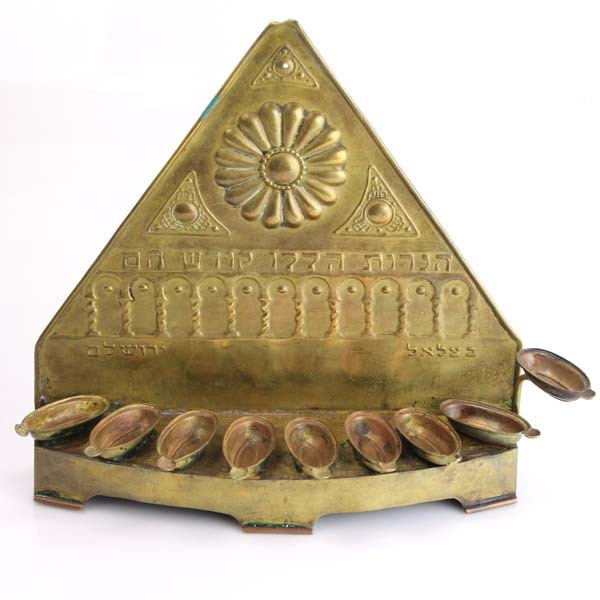 Very good condition, repair to the bottom, dent to the top. This Menorah appears in – A Collector’s Guide to Judaica by Jay Weinstein, page 139, item #188. 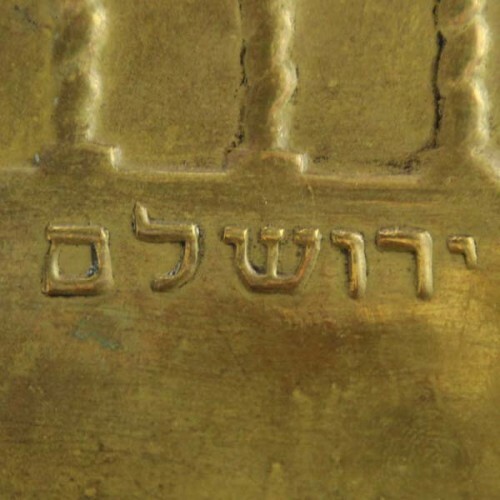 Very good, repair to the bottom, dent to the top.